Set in London, this holiday home is 1.9 km from Riverside Studios. The unit is 2 km from Hammersmith Apollo. Free WiFi is available throughout the property. There is a private bathroom with a bath. Olympia Exhibition Centre is 2. 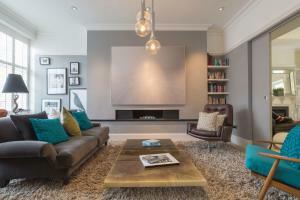 See all House Addison Grove - Chiswick reviews..